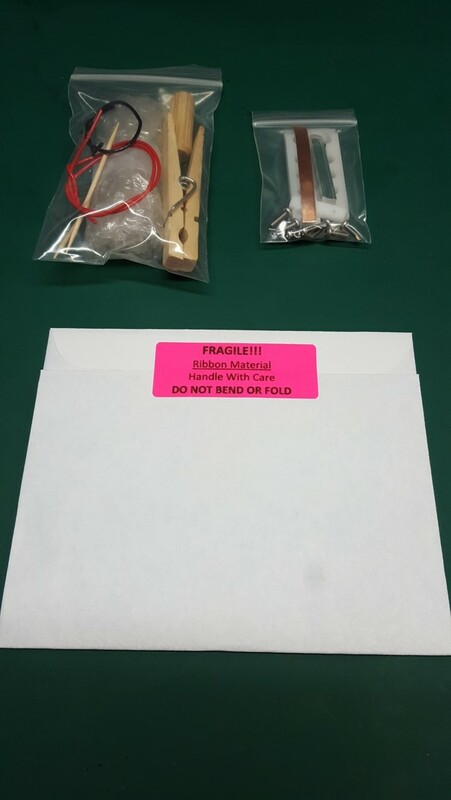 Austin DIY Ribbon Microphone Parts - ALWAYS FREE USA SHIPPING! If you're looking for complete kits, please visit my DIY Kits Page. If you're looking for just the plans and videos only (no parts), please visit my DIY Plans and Videos Page. 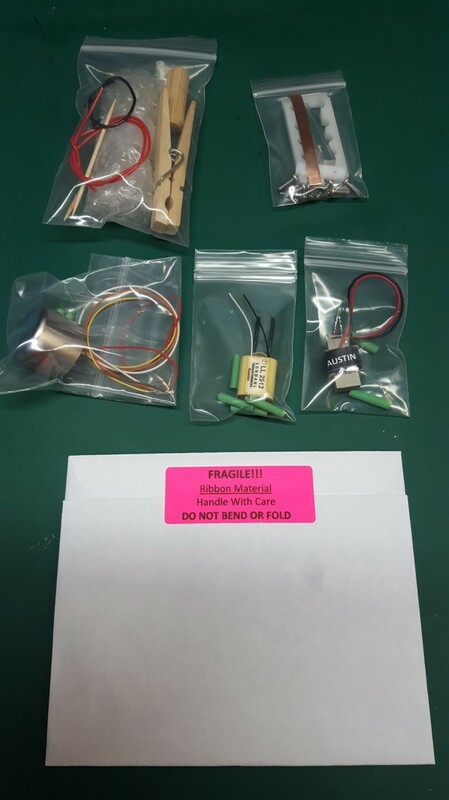 My AUSTIN Ribbon Motor Kit (RMK) Is all the parts you need, if you already have a donor microphone body for your microphone, or are building the Thingiverse or Instructables 3D-Printed microphone. You also get my fully-illustrated plans and video tutorials to make and install the Ribbon Motor Kit in a Donor Body or the 3D printable microphone. Specialty tools and templates are included in each kit, but you'll need some basic tools like a screwdriver, razor blade and a soldering iron. Making a microphone from my Ribbon Motor Kit and 3D printed parts is not for everyone: Building a sensitive microphone requires your patience to make mistakes while learning, (extra materials included!) Previous DIY experience always helps, and it can be assembled on a kitchen table in 3-4 hours. It is designed for adult DIY'ers and College labs... but even high-school students have built my kits as class projects and science fair entries. My AUSTIN™ OTA-2 is custom-wound especially for me, right here in the United States, and they sound KILLER! Fat bottom punch, and excellent high-frequency output make the Austin™ Model 1 great for recording electric and acoustic guitars, and bringing-out the warmth of studio vocals. The USA-made Cinemag 9887 Ribbon Mic transformer delivers slightly brighter highs than my OTA-2, and is shielded in a Mu-Metal can for extra hum protection. It also has the longest wires of all the transformers, making it very easy to install. It has become a favorite for recording vocals and other full-range instruments like Piano and strings, without the brittle crispness of a condenser microphone. The Lundahl 2912 Ribbon Microphone transformer is a favorite for Chinese Microphone Mods & upgrades, and delivers a wide, flat frequency response. Smooth, natural bass, and flattering highs - without the brittle edge of a condenser. The Lundahl 2912 helps your Ribbon Motor Kit to rival the performance of boutique studio ribbon microphones costing WAAAAAY more! 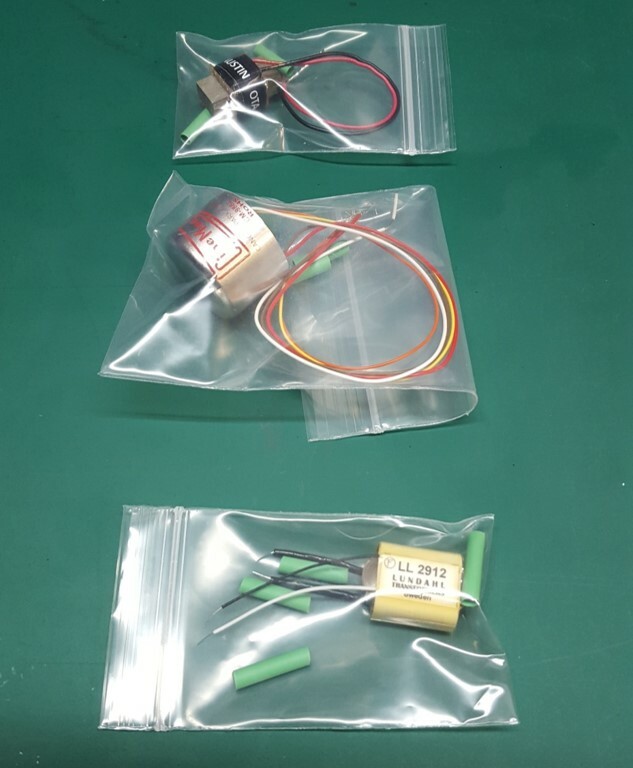 These are top-quality USA parts. Austin Ribbon Microphone Kits are not imported repackaged Chinese junk. My custom parts are hand-made in San Diego, CA by local vendors and machine shops, and I personally pack each parts bag myself. Old-School! I use UL/CSA wiring, custom-wound transformers, and a proprietary monolithic ribbon motor truss of my own design. Direct, personal customer support is always just an email away, and is usually answered within a couple hours. An Austin Microphone is a practical gift for a guitarist, drummer or singer, and also for an engineer or a student who needs a college lab project. My kits are used in college courses at the Berklee College of Music in Boston, Conservatory of Recording Arts and Sciences, UNLV, Art Institute (Ai) campuses, Community College labs, and audio engineering trade schools! Check out my MXL 990 Conversion Kit. Convert your brittle MXL990 into a smooth Ribbon Microphone! Click Here: MXL-990 Modification kit. My Truss Kit is the same as the Ribbon Motor Kit above, without a transformer. If you already have a transformer and a donor mic body, then the Truss Kit is for you. My Monolithic Ribbon Motor, ribbon foil, clamps, screws, conductor pads, and wire, plus the plans and video tutorials are included here. The finished size is 2.5 inches (64mm) tall, 1 inch (26mm) wide, and 1/4 inch (7mm) thick. You will need to figure out how it mounts in your own donor microphone body, but there are suggestions in my tutorial and videos, as well as the Thingiverse, and Instructable pages for the 3D printed ribbon mic. AUSTIN™ OTA-2 - A high-nickel core, dual-bobbin, humbucking ribbon microphone transformer, which is custom-wound especially for me, right here in the United States. Nobody uses a design like this, and they sound KILLER! Fat bottom punch, and excellent high-frequency output make the Austin™ OTA-2 great for recording electric and acoustic guitars, and bringing-out the warmth of studio vocals. Cinemag 9887 - The USA-made Cinemag 9887 Ribbon Mic transformer delivers slightly brighter highs than my AUSTIN OTA-2, and is shielded in a Mu-Metal can for extra hum protection. It also has the longest wires of all the transformers, making it very easy to install in almost any microphone body. It sounds best when recording vocals, drums, and other full-range instruments like Piano and strings. Lundahl LL2912 - The prestigious Lundahl 2912 Ribbon Microphone transformer is a web favorite for Microphone Mods & upgrades, and delivers a wide, flat frequency response. Smooth, natural bass and flattering highs - without the brittle edge of a condenser. It's also smaller than the Cinemag, so it can fit into tight spaces or small microphone bodies. Austin Foil is delivered in a rigid, hard-sided box to prevent damage in shipping. My Austin Foil is less than 1-micron thick. Approximately 10-12 ribbons can be cut from this sheet. It is super light, and responds significantly better to High-Frequency sounds than the 1.8-micron foil below, or standard 2-micron foil found in retail ribbon mics. The drawback is: It's harder to work with, and is less resistant to damage from plosive, very low frequency, high-energy sound sources like kick drums, hand claps, blowing into the mic, and "Popped P's". You will always want to treat a mic with this foil gently - like a $1000 studio mic. Always use a pop filter for vocals, and never use it on a kick drum. I also have 1.8-micron foil. 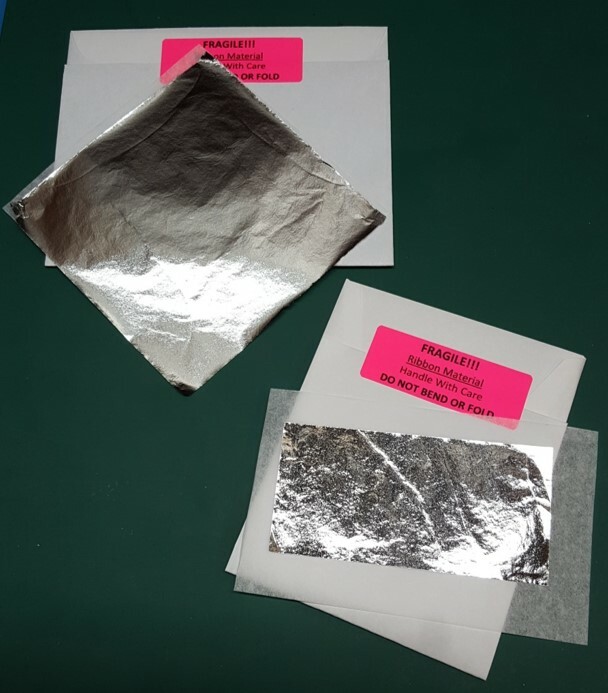 1.8-micron foil is easier to handle, corrugate, and install, but the drawback is: you sacrifice some high-frequencies with a thicker foil. (Your mic will have a quicker HF roll-off.) Approximately 6-8 ribbons can be cut from this smaller sheet. © 2007-2019 Austin Ribbon Microphones. Know someone who would be interested in my DIY products? Please SHARE IT!